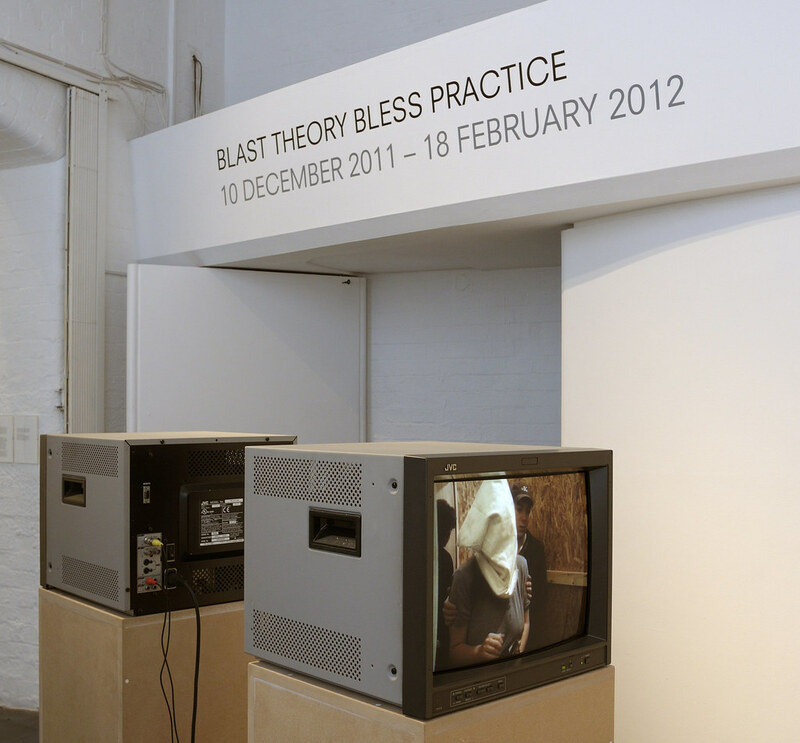 Five key works from Blast Theory's 20 year history curated by Nicola Hood at Spacex Gallery in Exeter. 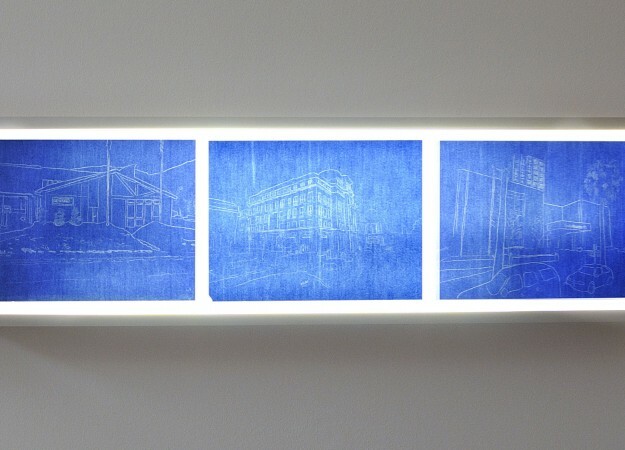 This survey exhibition at Spacex gallery in Exeter, marking Blast Theory’s 20 year anniversary, delves into our archives to reveal details of works never before presented in a gallery environment. 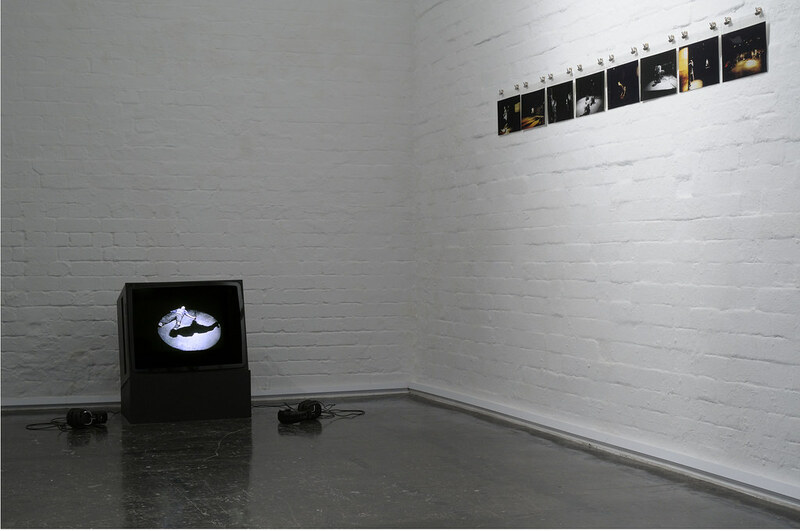 The exhibition features video footage, photo documentation and design from early performance pieces through to current work that often focus on aspects of trust and voyeurism with strong political undertones and social commentary. Five key pieces form the focus of the exhibition, the earliest of which is Stampede (1994). Presented through photo stills, footage of the performance and cue cards, Stampede is a promenade piece exploring crowds and rioting. The work posed pertinent questions; At what point are you prepared to declare yourself publicly? What would make you take to the streets? Originally performed in theatres and nightclubs, Stampede included excerpts from a secret police manual about riot control and featured interviews with the six performers about loss of control. The performance itself – lasting 60 minutes – was fast and furious: a constant barrage of leaps, skids and falls interwoven with moments of quiet isolation and exhaustion. Kidnap (1998), is presented through documentary footage, publicity materials and participant application forms. The work saw Blast Theory launch a lottery in which the winners had the chance to be abducted. Finalists were chosen at random and put under surveillance with the two winners being snatched in broad daylight and taken to a secret location where they were held for 48 hours. The experience was broadcast live on the internet. Online visitors were able to control the video camera inside the safehouse and communicate live with the kidnappers. 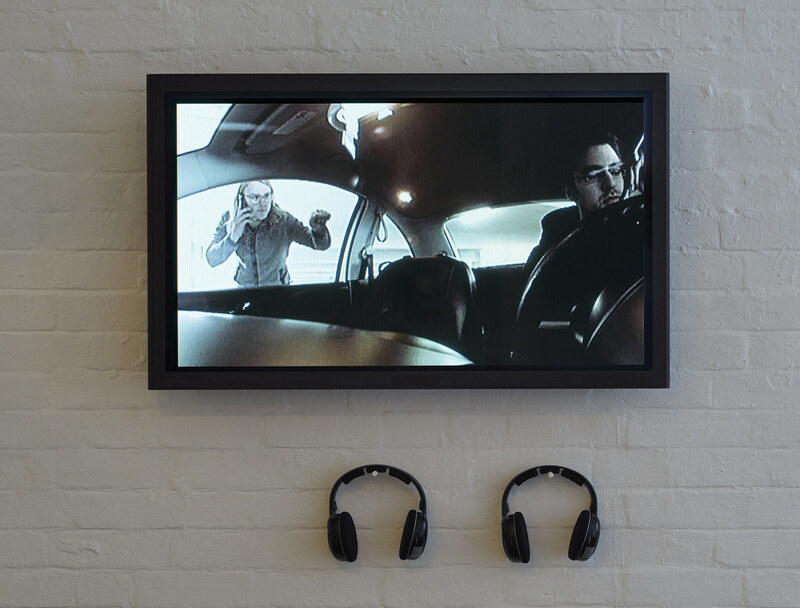 In the run up to Kidnap, a 45 second video – the Kidnap Blipvert – was shown at cinemas around the UK containing a number allowing people to register their interest, this will also form part of the exhibition. 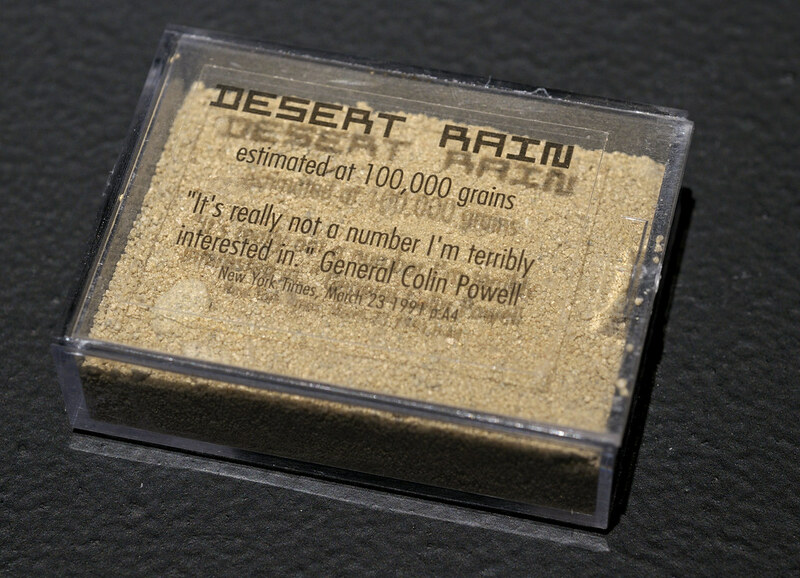 The BAFTA nominated Desert Rain (1999) has become a significant work in the world of performance and new media. It is a game, an installation and a performance placing participants in a collaborative virtual environment and sending them on a mission into a virtual world. In a world where Gulf War images echo Hollywood images, Desert Rain explored the feint line between the real and fictional. It attempted to bring visitors to a new understanding of the role of mass media in distorting our appraisal of the world beyond our own personal experience. 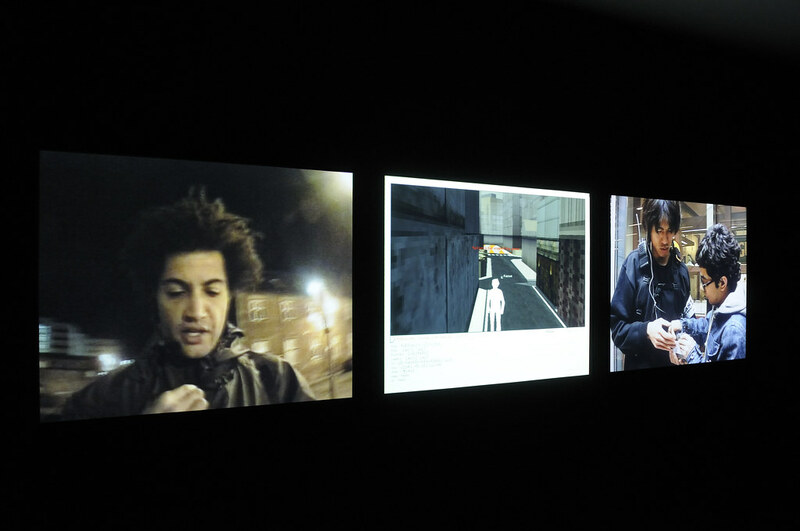 This work is presented through video documentation in the form of interviews and supporting texts. Can You See Me Now? (2003) is a game. Players can participate online from anywhere in the world in a virtual city against members of Blast Theory who take to the streets of the chosen location. Tracked by satellites, Blast Theory’s runners appear online next to your player on a map of the city. With up to 20 people taking part online at a time, players can exchange tactics and send messages to Blast Theory. An audio stream from Blast Theory’s walkie talkies allowed you to eavesdrop on your pursuers. A three-screen projection in the main gallery space will present footage from the game being played in Oldenburg, Germany. You will be able to explore and interact with this virtual recording in real time. 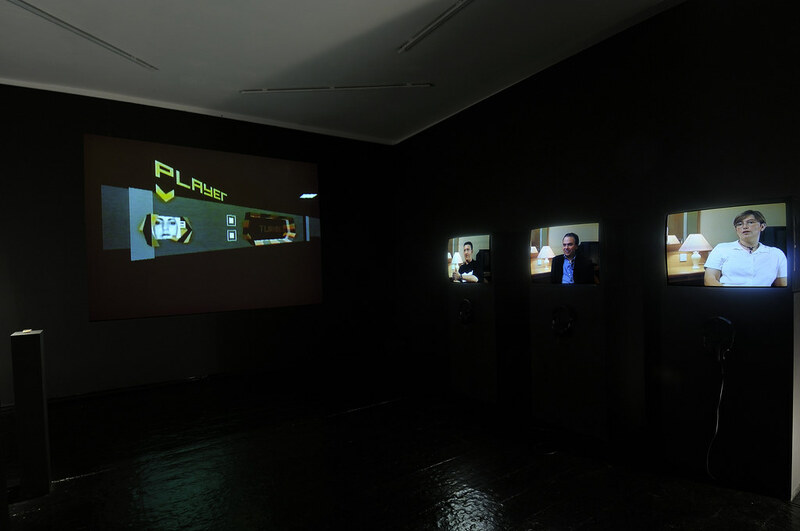 A Machine To See With (2010) gets its premiere in a gallery environment. A film where you play the lead, it begins by receiving an automated call giving you an address you need to go to. You are the lead in a heist movie; it’s all about you. It’s up to you to deal with the bank robbery and it’s aftermath. 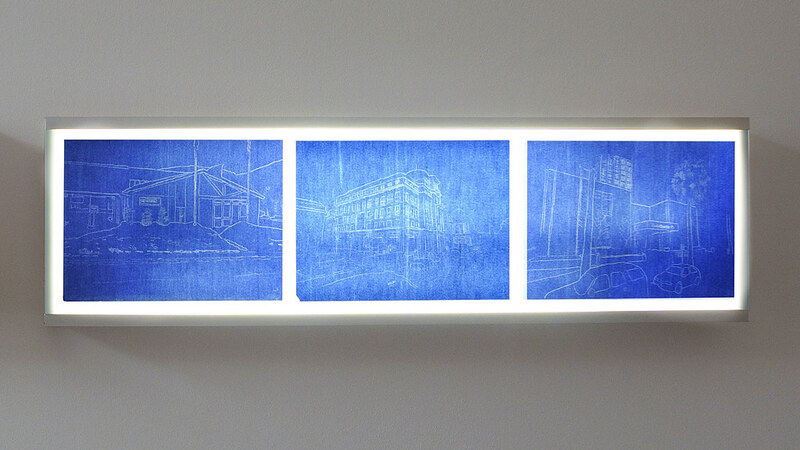 Though not offered as a participatory work in this case, the tension and suspense of the experience is still apparent. A series of drawing will accompany the film. 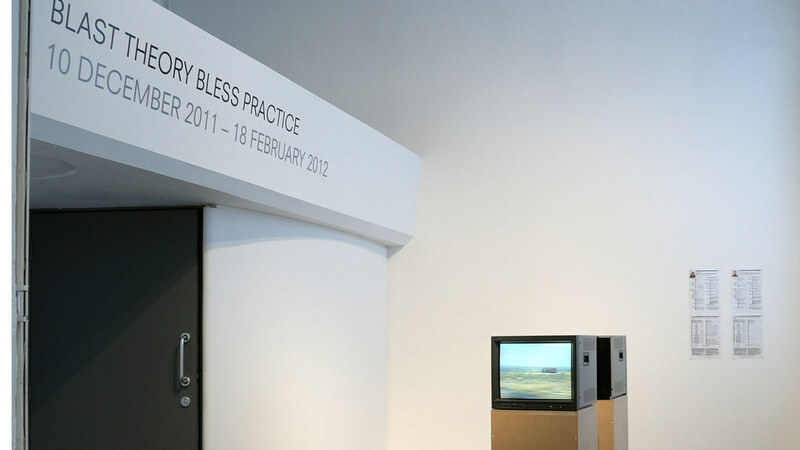 The exhibition at Spacex coincides with Ghostwriter, a new work from Blast Theory commissioned by Exeter’s Royal Albert Memorial Museum (RAMM) to mark its reopening in December 2011.
Review, Bella Todd, 2011, (PDF).